I was so excited to use Derwent’s Precision and Procolour pencils. For many years now, I have sketched out any drawings using Derwent Graphite pencils and filled in the colour with Derwent Artist pencils, so it was of great interest and fun to experiment with these different pencils. The precision pencil has a very soft edge to it meaning it is fantastic for shading but as it never needs sharpening, it is able to give a crisp, clean edge when needed. I feel this is the best pencil for sketching ‘en plein air’ as no sharpener is required and it even has a very effective eraser on the end with protector cap meaning you can travel light! It comes with a handy little box of refillable graphite leads, spare erasers and I was very pleased to hear it’s available in 2B as well as HB. Using the Procolour pencils was a dream. Once sharpened, I feel the tips keep their fine point longer than the Artist or even Studio pencils but without the harsh lines you would expect from such a pencil. 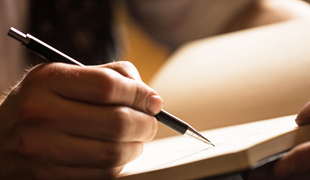 Instead, it gives you a smooth texture as they glide effortlessly over the paper. A texture such as this allows for the colours to layer and blend over one another perfectly, allowing depth and new tones to be created on a piece of artwork. 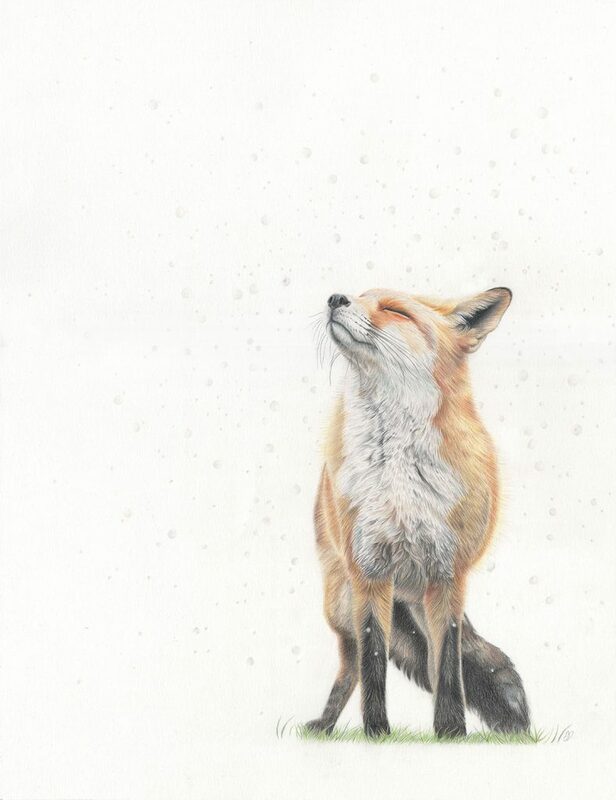 Whilst drawing the fox, I used a base colour of felt grey and built up layers using colours such as Primrose Yellow, Sunset Gold and Nutmeg. 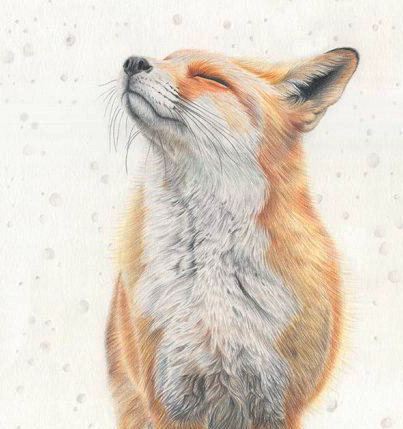 The colour Nutmeg is now one of my absolute favourite colours as it adds an impressive tonal value to a drawing, giving real depth as you can see around the eye of the fox. I was pleased that Derwent included the colour Blue Grey in this set as in my personal opinion, it is one of the most useful colours Derwent has created. It is brilliant to use on shaded areas and saves a lot of time blending blues and greys to achieve the perfect tone. 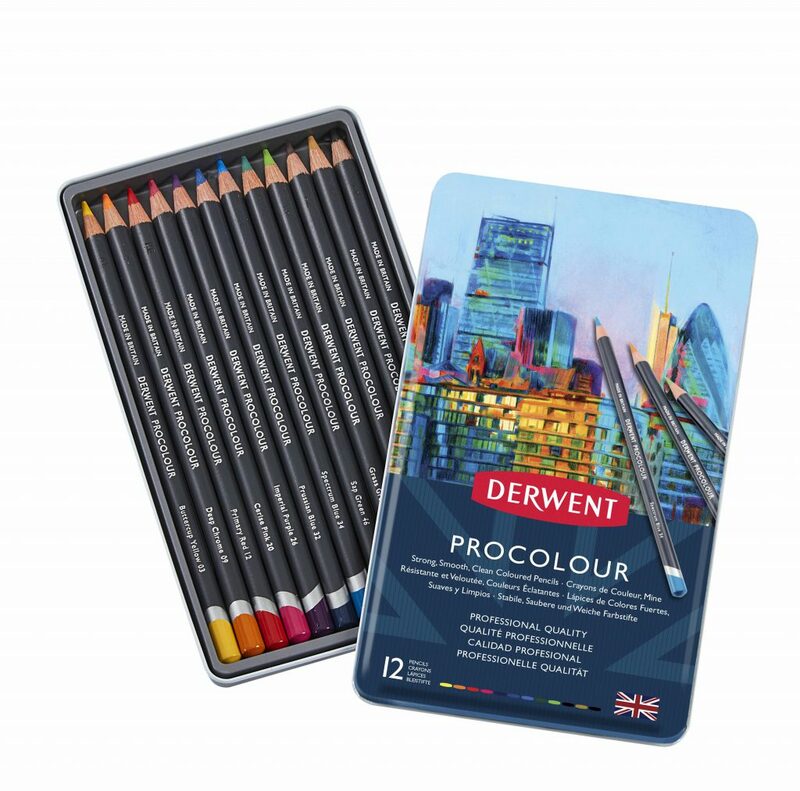 There is a beautiful vibrancy to this set of pencils that really brings a drawing to life and is demonstrated perfectly in the illustration on the tin they come in. Having such a bright set of pencils which keep their vibrancy once put down on paper feels like a rarity, loosing very little pigment from the page which decreases chances of smudging. I have loved using these pencils and will definitely continue to use them on my artwork in future!